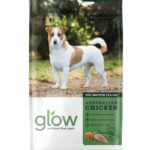 Glow is exclusive to PETstock. It’s actually pretty good for what is essentially a home brand. The main ingredient is chicken meal, which is a protein rich dried form of chicken. The next two ingredients are also rich in protein being lupins and beans, and it’s likely these two ingredients combined will outweigh the chicken (potentially 2:1). That means the majority of the protein will be plant based more than meat based, and plant proteins aren’t as bioavailable. That said, this is common with pet food as it keeps costs down, and lupins and beans are pretty good inclusions. Sorghum as the 4th ingredient is a starchy grain used to bind the kibble. It’s a better inclusion than wheat as it’s gluten free and non-GMO, but otherwise doesn’t serve much purpose nutritionally. There’s some nice inclusions in the food, such as chia seeds as a good source of B vitamins and omega fats for skin and coat. Chia, interestingly, is related to the mint plant family. DHA (Algae) is another source of omega fats (omega 3) and is something we should see in all pet foods as an essential. It’s good to see the use of natural rather than synthetic antioxidants (which are carcinogenic). These are included to preserve the food. Overall this is a solid food with no real nasties, and the only real caveat is it’s more plant-based than meat-based. 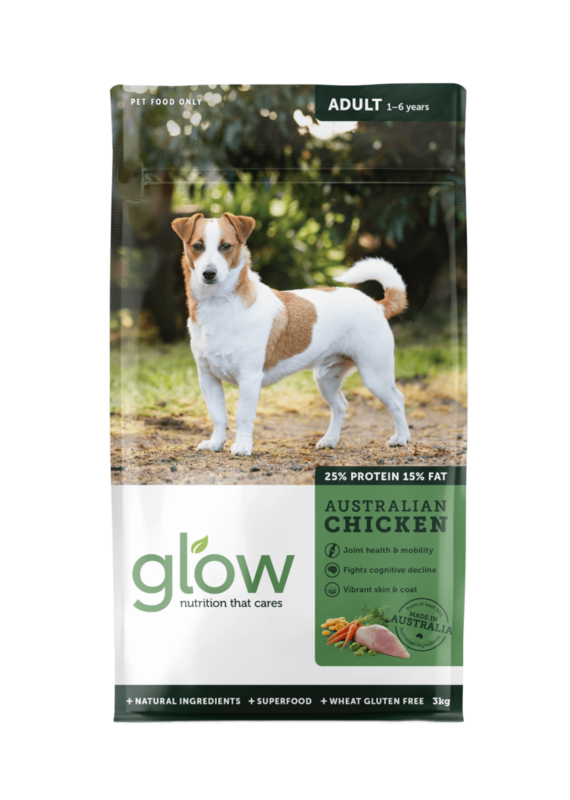 Chicken Meal, Lupins, Beans, Sorghum, Tallow, Beet Pulp, Chicory Extract, Chia Seeds, Carrot, DHA Algae, Salt, Potassium Chloride, Vitamin and Mineral Premix, Natural Antioxidants from Rosemary.